osu! was initially developed as a proof-of-concept by peppy in July 2007. It was his first attempt at making a game since the point-and-click titles he used to make many years previously. After it turned out better than expected in a short period of time, it became clear that this gaming style had more potential than has already been released. This was the birth of osu!. osu! is now beyond its time in many areas, with a huge focus on web integration and community aspects. Features are added based on people's requests, and their perceived usefulness to the community as a whole. The map submission process (Beatmap Submission System) is seamless and intuitive from start to finish. Importing songs, loading skins and playing the game is simple enough for almost anyone to handle. Multiplayer support is available. 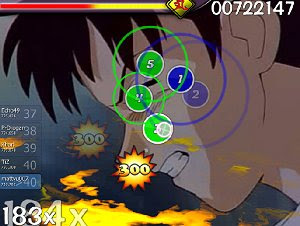 New gameplay modes are implemented to expand the scope of this game beyond its original expectations.